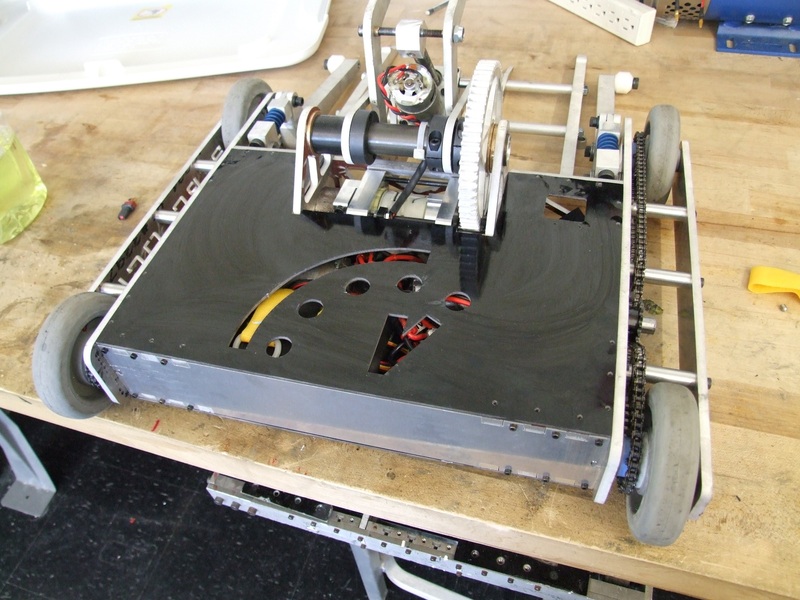 As Motorama 2013 draws closer, and for once in a long time I actually have a robot done and tested, dammit!, I’m going to do something that I have not done since before this site went up in 2007. I call it an “opponent threat assessment”, and it… is pretty much that. It’s me sizing up the other entrants in the class I am competing in, based on their BuildersDB registration into, and thinking about weaknesses and strategies. I used to do this all the time back in my early battling days, but in recent history (some time around late 2006) I pretty much stopped thinking about it. The cool thing about the OTAs for me, in retrospect, isn’t the planning and strategizing, which is something that is clearly susceptible to some cursory words and scribble without any real thought put into it. For me, when I did this often, the best part was simulating the match in my head – enacting various scenarios and responding to them. I’d started way back in 2001-2002 with pitting my favorite Battlebots (when Battlebots The Show was a thing) against each other. Watching hours upon hours of videos from local and builder-run events, too, back when broadband was still a big deal, also contributed to building up the models. In this way, by the time I got to high school, I’d already developed a fairly good mental ‘physics engine’ of sorts, since I thought about these match scenarios so often. I usually can, with fairly little effort, stare at a mechanism or mechanical implement and understand how it moves and how it would react to loads. It’s like a mental real-time FEA. That’s one of the skills which I regularly wonder how you teach – my general opinion is that an innate understanding of mechanisms isn’t possible without many years of practice experiencing them. With each working or broken device you build up the physics engine better and patch holes in your reasoning. That’s how you eventually get to the point of just staring at something intensely and then knowing if it would perform in a given scenario. It’s also how I CAD – staring intensely at the computer screen while I run through maybe dozens of iterations of a design in my head before putting anything down on the screen (which would take much longer, so by the end of the process I’d probably have forgotten why I built a part). All that is nice, but besides the point of this post. It’s just something that I wanted to get out of the way since in my recent forays into teaching and TA’ing mechanical engineering classes, I’ve realized that most peoples’ grasps of mechanical engineering concepts are superficial and very reliant on “monkey see, monkey do” kind of copying, or even worse (to me, anyway, perhaps not to my more analytically inclined colleagues) on extremely meticulous and detailed theoretical analysis which ignore real-world implications. While any method could provide a path for advancement and evolution, one of my goals while I’m here is to get undergraduate students to take charge of their own learning and build more things so they also build up strong mental analytical engines. Despite not being pictured on the DB, I know everything about this bot since I’ve pretty much seen it built in front of me. Blitz is in the interesting position of also running RageBridges with DeWut?!s. Why? Because Adam and I are really the people behind the pile of stuff on Equals Zero Designs. The whole damn thing was basically started as an excuse for us to get better parts we couldn’t find elsewhere. Clocker and Blitz are therefore very well matched in speed and tractive force. Blitz’s weapon is a Sewer Snake like dual-hinged flipping arrangement that can throw opponents forward and over (see its first version build midway down). 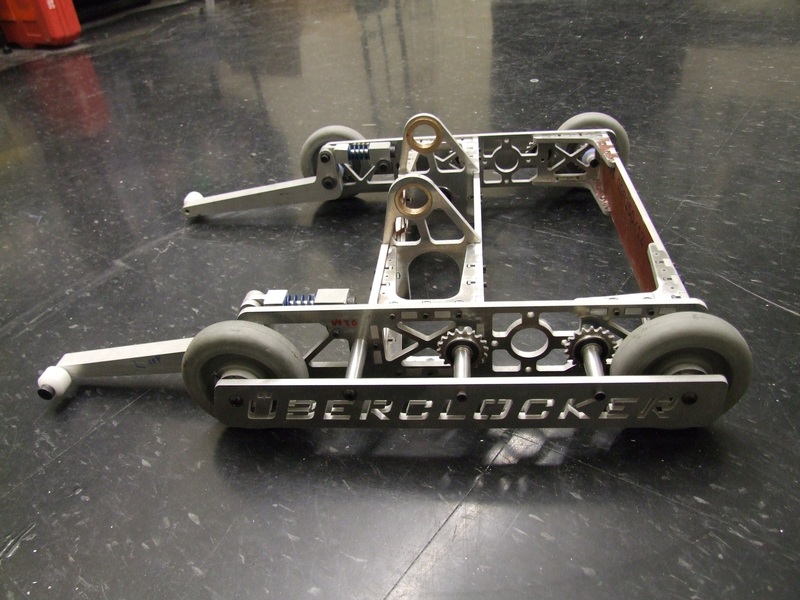 I’d say that Clocker is vulnerable to any attack which can flip it over, not because it’s not invertable, but simply because rolling back on to all 4 wheels takes a precious few seconds. I’d have to avoid being broadsided – a position which Clocker has no defenses against, and I can get continually pushed around in. Because the lifting forks extend out far ahead of the bot and Clocker is known to be very stable even with a 30lb opponent hanging off the fork, a head-on attack might even be my best option. Blitz is fully invertable, but the doubly-hinged weapon would hinder mobility if it’s upside down, a position which I could try and maneuver it into just by using the fork as a flipper. The greatest threat comes from its speed, which is greater than Clocker’s by about 25%, and the widely-placed lifting fingers, which can easily result in a broadside attack if I’m not careful. DM is a bot I’ve battled before with Clocker in 2010. For this year, the description on the DB reads “Going back to version 4″. Through investigating the builder’s website, “version 4″ is in fact the bot pictured on the DB, and its weapon is a “reciprocating spike”. Besides spikes being actually an ineffective weapon in the combat robot universe, the bot itself is also rather boxy and has no other pushy features like wedges or lifters, and apparently poor inverted performance. I’m anticipating a match filled with much grab-and-go, since its ground clearance also appears rather high. 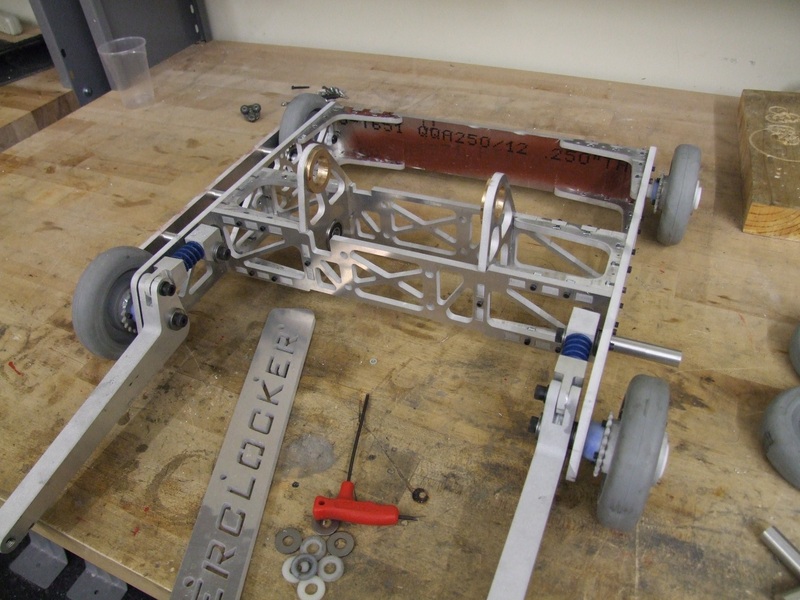 Based on the published build pictures, the drivetrain is not as powerful as Clocker’s, and will probably max out at around 12-15 miles per hour, typical of most cordless drill drivetrains. So short of a spontaneous system failure, I anticipate being able to both outmaneuver and dominate traction. I’m hoping to execute Clocker’s fairly well known spin move with DM if given the chance. Gigarange is a bot I’ve seen in action personally and on video, but haven’t fought. It’s a classic 4 wheel, low profile, 4-bar lifter bot, similar to Test Bot except less wedgy due to the Sportsman’s class rules. Based on the most recent videos of Gigarange at the Franklin Institute event, it’s quick and maneuverable, but I think I have a speed advantage. Its front lifting plate is much narrower than the span of my forks, and the robot is overall boxy and low. I’m fairly certain I can get ahold of it through a frontal attack only. Again, as with all pusher-lifter opponents, I’d want to drive to avoid a broadside attack, but because his lifter is fairly narrow, I may be able to escape from it by rotation – that is, just driving quickly forward and backward if I begin getting pushed sideways. One weakness of Gigarange I’ve observed is that the lifter is fairly slow to act. Hence, again, I may be able to avoid traction breaking using speed alone. The basic strategy would be to attempt to flank to avoid the lifter arm, but if that fails, try attacking full frontal using lift only (to break traction). I’d want to not plant the upper clamp arm on top of its lifter because it can extend with enough force to potentially damage the clamp and actuator (the clamp arm having almost 8:1 leverage on the actuator). I’ve been watching the progress of this bot on the NERC forum for months. The bot is one of the few new flywheel powered flipping weapons around, and despite its complexity, the builder is known for reliable designs. Based on test video posted recently, the flipping weapon definitely has enough punch to potentially 360-flip Clocker on a good shot, but more likely, it will just toss me over. I’m rating the bot high in threat just because it can flip and drive reliably (based on my assessment of its drive motor choice and wheel choice/mounting method), which can be bad news for me if I get bowled over and cannot escape in time. Conversely, the complex flywheel machinery may make for vulnerabilities I can exploit by bringing the fork or clamp down on it. The flipper’s geometry is also one I can exploit – instead of “popping out” like many designs, it hinges back such that the majority flipping action occurs at the end of its lifting plate. 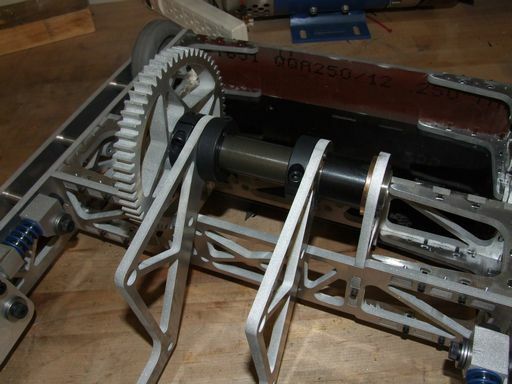 Hence, if I were risk-oriented, I might actually try grabbing it by the flipper since the actuation motion would try and kick the robot up, rotationally, instead of flinging. My course of action would be to try and bluff the driver into triggering the flipper into an empty shot (e.g. by attacking, but retreating quickly), upon which I would try to either get under the whole bot or attempt to lodge the clamp arm in the flipper. JR can self-right, but with difficulty and only by propelling itself along the ground a few feet based on its test videos, so if I can trap it backwards and upside down in a corner, it will have very little recourse. The worst case failure mode is being flipped upside down, but I hope to be able to recover from the position before JR is able to reload (a process which takes a few seconds as it spools up the flywheel). LU is a design I am unfamiliar with, and I don’t know the builder either, but it does have a fairly comprehensive CAD rendering on the DB. The trouble is that I am not very threatened by said drawing. 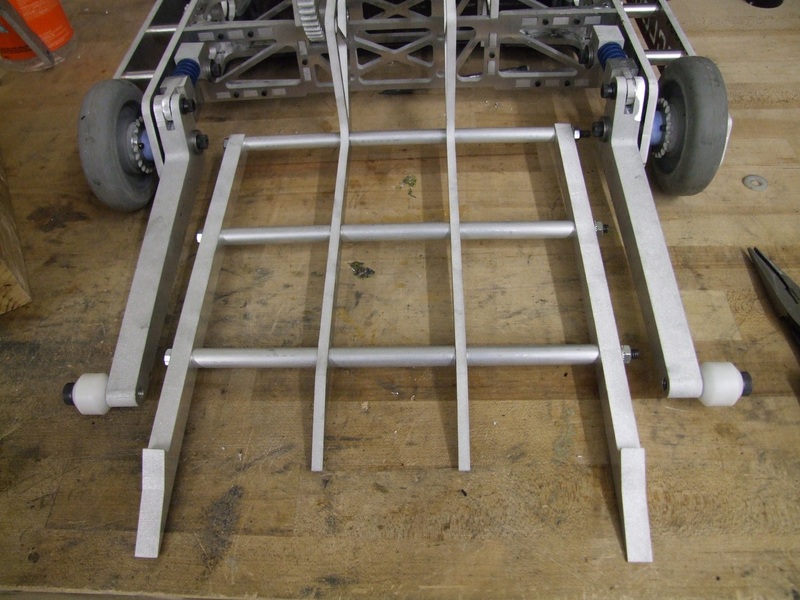 For a lifter, its wheelbase is awfully short and its ground clearance appears limited. The lifter, unlike Gigarange, also does not appear to run the entire longitudinal dimension of the bot, so there is plenty of space for me to plant the clamp onto. 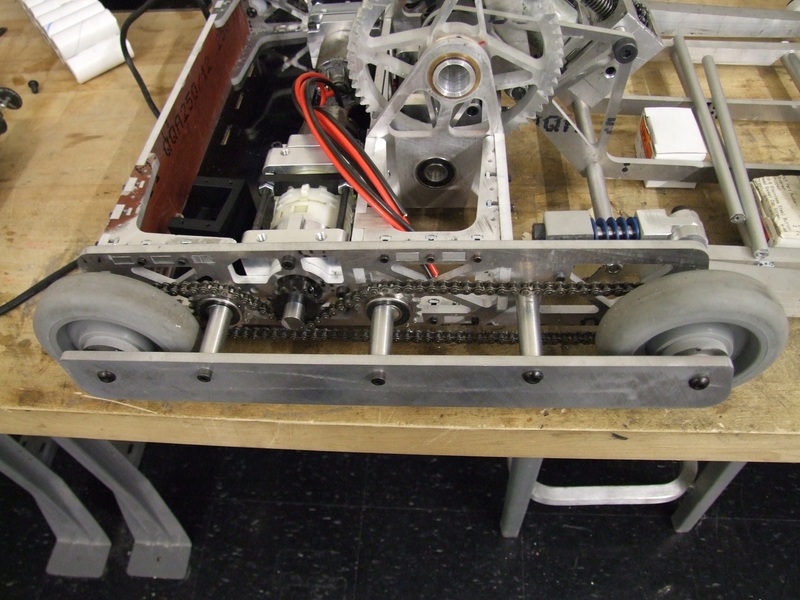 The bot seems rather easy to high-center and break traction because of its very short wheelbase compared to bot length. The only issue would be if it were very fast and well driven – but even so, I think I can approach it head on and break its traction with the inner fork tines first (if the bot’s dimensions are roughly what I think they are. I think I fought Nyx at least 5 times at Dragon*Con 2012. The match will be completely dependent on driving – the two bots are essentially 1 for 1 in speed. Nyx had a unique ability to wedge itself using its lifting spike between the fork and frame of Clocker and prevent me from lifting, but at the same time trapping himself on the fork. The match will also be dominated by who has better traction as a result. Because of his lifting spike, I can’t approach him head-on like with flat plate bots. Instead, an intricate series of flanking maneuvers (see all Nyx matches in the D*C2012 video) will be needed to get the forks under him. I’m counting on the arena being enclosed this time to hopefully up my unpredictability in maneuvers and intend on using the walls and corners if possible. If I can hook one of his fairly wide and open side rails with the fork, then I have more leverage as a result. I would have to drive to avoid broadside and rear attacks especially – Nyx has fit very well exactly behind Clocker in the past, and with this build not having changed widths all that much, it will still be a vunerable spot. 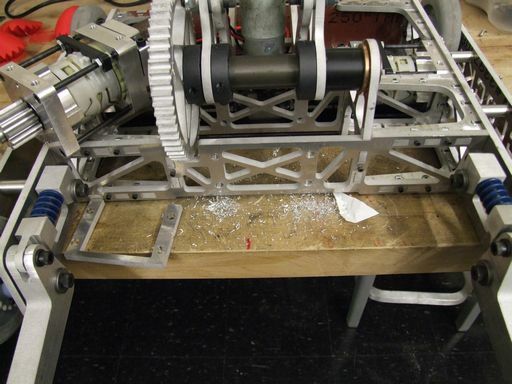 I watched this bot being built on the NERC forum, and I’m not really sure if the rail of saws will do much damage. Unlike many newbies’ beliefs, saws aren’t that effective in combat because to do damage, you need the opponent to stay still, something which rarely happens. I do expect that Palindrome can do the most “flesh damage” to Clocker, since spinning saws are spinning saws, but unlike many other opponents it has no capability of pushing or wedging. The weapon is also driven by an easily stallable brushless motor and runs in solid bearings, so it could bind very easily. The strategy with Palindrome would just be to grab and go. I do hope to parade him around the arena and mark up the walls or floor. The bot also has a broadside vulnerability something which I hope to be able to exploit because its speed potential does not appear to be great (using DeWalts in low gear, though with large wheels). Phoenix is a quick and maneuverable flipper bot which I have seen dialed in recently – it was seemingly unreliable in the past, but now it consistently flips 30lb opponents and can also self right handily. Because of the length of its flipping arm ahead of the bot, I’m going to have to avoid any engagement directly, or allow broadsiding. The arm reload cycle does take some time, during which it is raised up, so I could potentially bluff a flip, then attempt to lock the fork under the arm to block him from reloading. Clocker drives much faster than Phoenix, so I should be able to maneuver as needed. Another potential strategy is to keep the fork slightly up, over the height of the body of Phoenix, and attempt to hook his lifting arm at the top where the cylinder attaches. 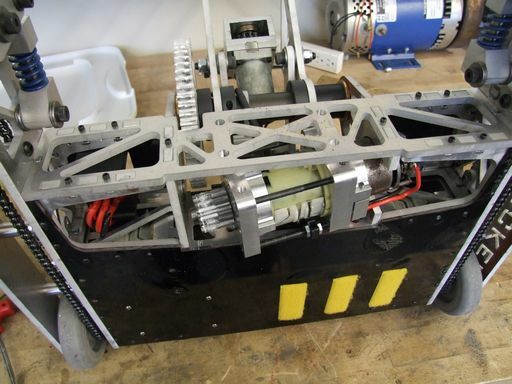 The body of the bot is also short enough to allow a broadside grab. Overall, I’m still rating Phoenix as a high threat because of the potential to flip Clocker over handily if I miss a beat. 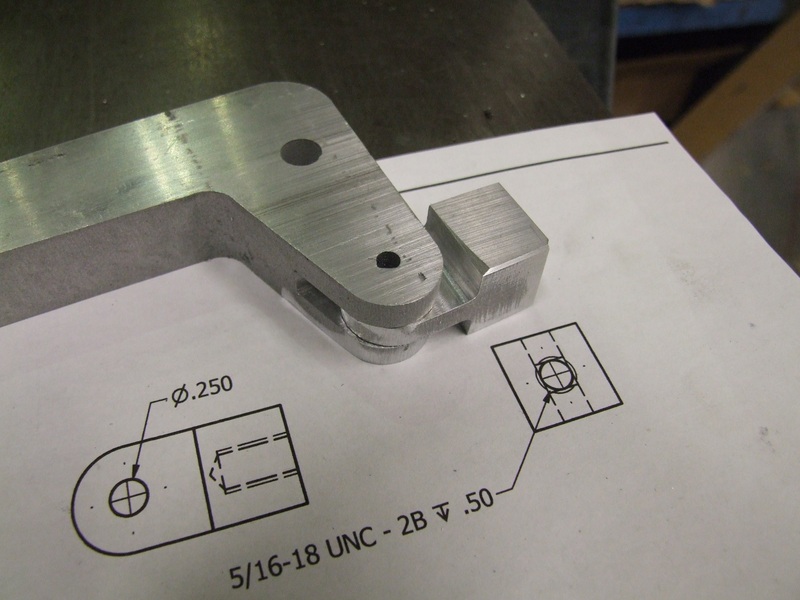 Based on the previous version of S&S and recent Facebook photos posted by the builder, S&S is again a “horizontal clamper” – the whole bot expands sideways using a multibar linkage in the center, and can clamp down on you from the side. It then uses dominant traction to corral you around. This year, S&S is actually a “shufflebot”, or a pseudo-walker that uses continuous cam legs, with what appear to be rubber blocks for legs. Walkers are afforded a 50% weight advantage, so S&S may weigh up to 45 pounds. 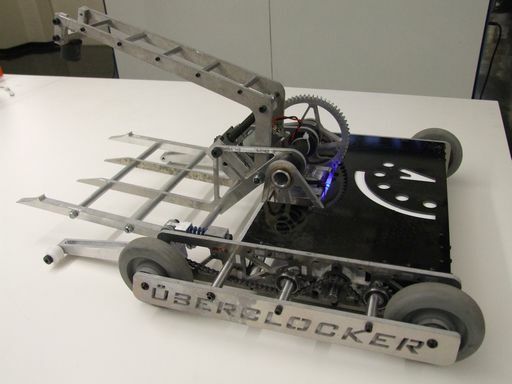 While Clocker could lift it, I’d have to make sure to grab him on a long side (so the bot’s weight is not substantially leveraging more than an average 30lber) but that, of course, risks being grabbed in return. I do think I still have the traction advantage, however, and definitely a speed advantage because of his shuffling nature. As a result, so long as Clocker doesn’t mysteriously fail, I don’t think I can do poorly against S&S so long as I keep driving and avoiding the hug of death. This year, Tyrant returns with an actual chainsaw attachment. Trouble is, I don’t think it will do that much damage – it’s not geared very highly, and like all saws, will probably bump and skip off a moving opponent. However, in the name of the class, it will put on a GREAT show I’m sure! Another one of those perennial n00b weapon suggestions is a chainsaw, so many people in the audience ought to identify with Tyrant. Because it has no pushing implements and big exposed wheels, I’m going right at him. In fact, I kind of want to try grabbing him by the saw. Tyrant is quick, however, and the chainsaw is sure to win aggression points from the judges and audience, so I’m going to have to control completely (Complete Control style!) or risk losing by decision. Upheaval is the bot which has pretty much won every Sportsman contest there’s ever been. It’s reliable, packs a massive punch, and well-driven. 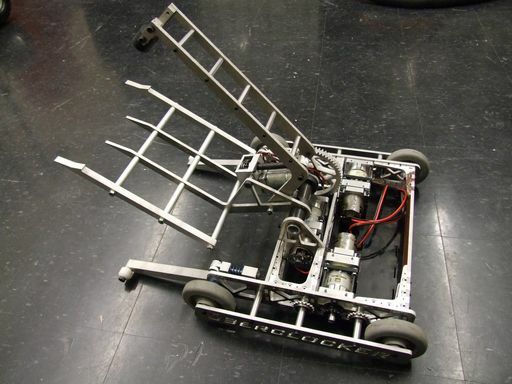 It also has front drive wheels, so it can really just turret around and wait for and of your maneuvers. I fought it in 2010 with Clocker Remix to predictable results. This time around, I should have actually functional drive motors, short of a spontaneous failure (which is always a potential factor). Clocker is now much faster than Upheaval, but his turreting means I’ll have to be clever in my approach. The basic strategy would be much the same as fighting Phoenix or any other flippy bot – try to bluff a flip, then get under him while the arm is reloading. Clocker has many apparently solid spots up front which I could use to my advantage – the fork will tend to slip its clutch if a sudden force is applied, and the springy legs will hopefully live up to their name . Alternatively, as long as I can keep rolling him over (not grabbing), he’d have to waste shots having to self-right, and I could potentially try and trap him against a corner that way, making self-righting impossible. As long as I can keep moving and poking, I should be able to avoid being flipped. The most important part for me would be to never, ever drive across the flipping foot and never engage directly. 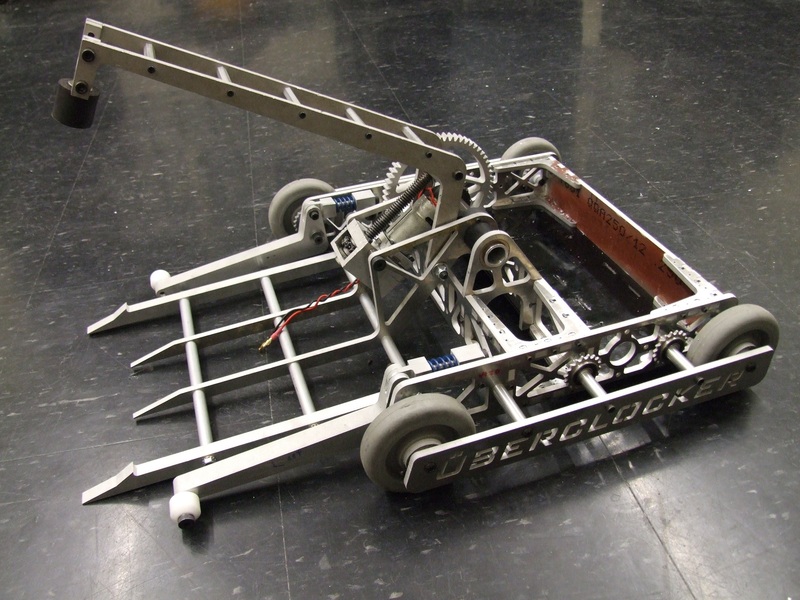 Don’t body slam people backwards – Clocker may not be able to exit this position, requiring a two-robot unstick pause in the match. Maybe only do it for effect at the very end of a match if needed. Avoid being broadsided at all costs – Clocker Remix had that weakness, and Clocker Advance has the same long flat sides. Drive upside-down to escape a flip if needed, don’t try to self-right on the spot. Hope this all works out! I’ll be leaving for the tournament in an hour or two, and hopefully tomorrow there will be a live report from the event. Continuing on yesterday’s update, here’s the tale of wiring Clocker up over the past two days, plus (finally!) some video of driving and testing. As of right now, I’m pretty much ready to call the bot “done”. As in, maybe not everything is perfect yet, and perhaps not everything has been tested to breaking… but if Motorama were in fact tomorrow, I’d be comfortable with pitching it into the arena. With the bot basically having reached mechanical completion with the routing of the drive chains, I turned my attention to the wiring end of things. Clocker uses two RageBridges (And So Can You! ), one for the two drive channels and the other for the clamp and fork. In the past, I’ve bussed together the two power inputs of RB on the bottom, but since now I’m working with the boards with heat sinks, this is no longer possible. Solution? Just bus across the top. Now, “production” RBs are supplied with 4 battery wires, but this is one way to cheat a bit and get a one-input system. Yes, I know this layout is terrible. The green board is actually one of the revision 5 prototypes which are functionally identical to the production boards – I didn’t want to consume a production board which could be sold for my own giggles if I had workable prototype ones. 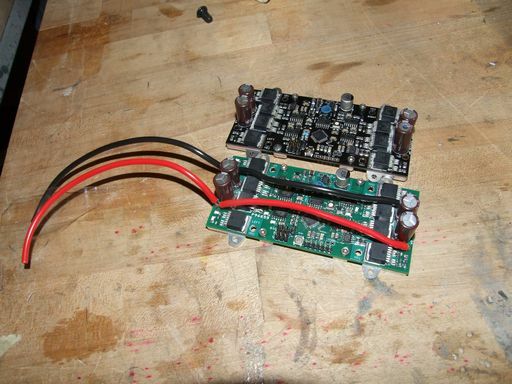 Next up was making the power source of the whole bot. Originally, I was planning on an 8S2P configuration using A123 cells. 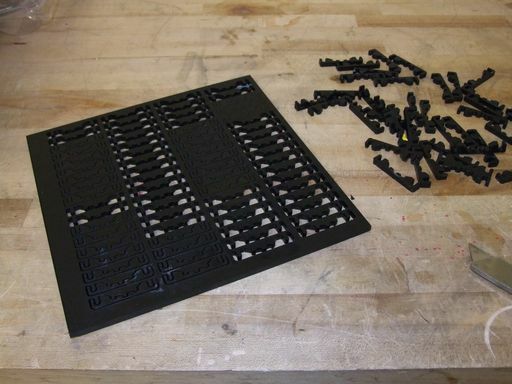 However, actually assembling 16 cells together and trying to stuff them into the rear cavity with a RageBridge made me realize that it was just utterly impractical. The fit was extremely tight in CAD, and the CAD model does not include the many layers of shock absorbing rubber foam and heat shrink I coat these things with. So I dropped to 7S. No matter – that just means Clocker goes about 17mph instead of 20! Big deal, in a 24 foot Motorama arena or a ~12-18 foot Dragon*Con stage! This is a picture of the pack in progress. I used my usual construction technique of copper braid and split balance harness (so my fairly average hobby-grade charger can actually recognize it). 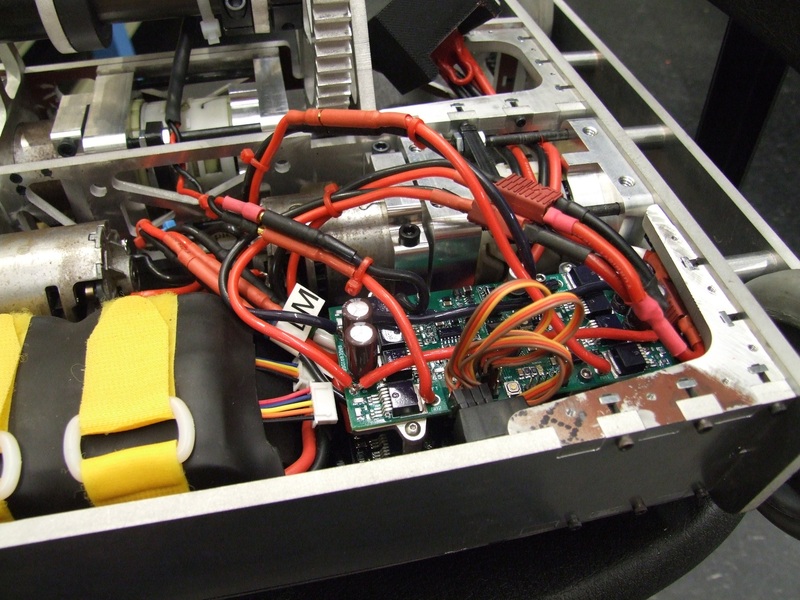 To test the drive, I mounted 1 RB and the battery in the rear of the bot. 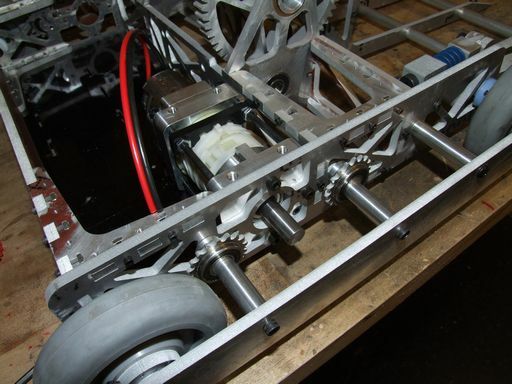 The “production” RB was used because it has heavier traces than the prototype and the drive motors will be stressed much more, current-wise. With only the drive hooked up, I took the bot for a spin around the hallway. I’m very satisfied with the drivetrain. Unlike Clocker Remix and Clocker version 1 in 2008, there was no attempt to keep the center of gravity as far back as possible. Rather, it’s near the centroid of the wheelbase and track rectangle. Result? This thing handles so smoothly – almost as good as Null Hypothesis, which still wins just because it has fatter wheels – Clocker tends to drift and slide. Previously, Clocker had a particularly nasty oversteer issue because the weight was purposefully far back, causing uneven wheel dominance in turning. 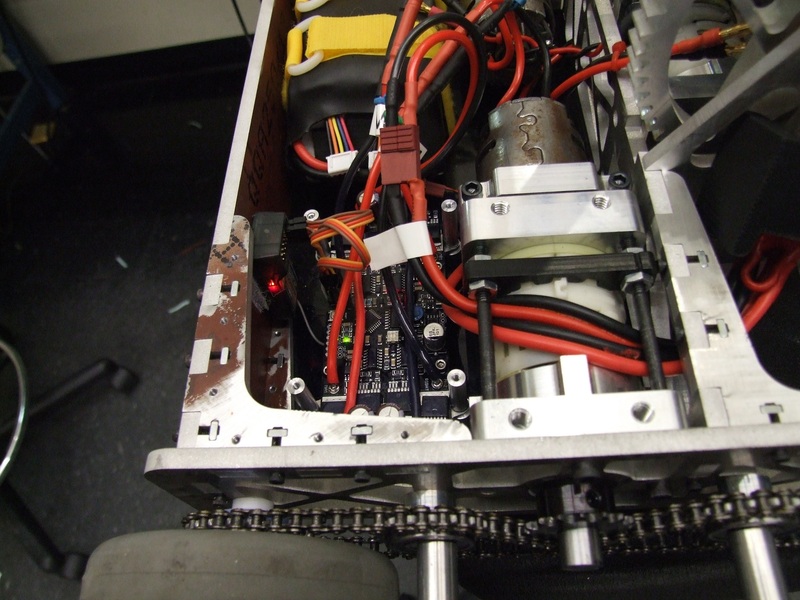 A better shot of the controller installed in the bot. It’s actually raised off the bottom plate by 1/4″ spacers. 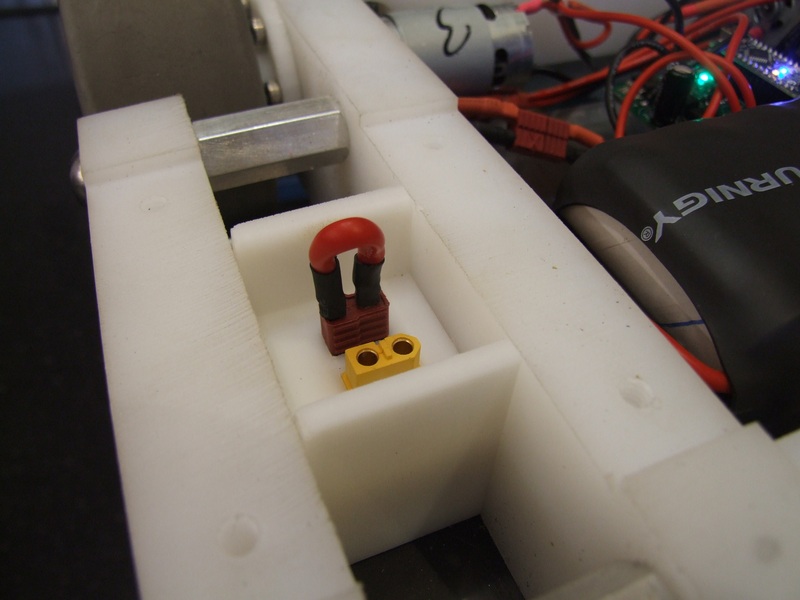 The threaded standoffs act as nuts to secure the board against those spacers, and then the fork/clamp controller sits on those threaded holes. The receiver is stuffed right next to everything by the back. And the ‘upper deck’ in the Tower of Rage is assembled. The top plate needed a bit of filing, sanding the edges, and enlargening the waterjet-cut pilot holes to slip into place. It’s retained by the same #4-40 button head screws that I normally hate so much, but hate #6-32 even worse, think #8s are worthless, and consider #10s too big for the job. So… yeah. With all of the electronics and pretty much all the screws in, I took the bot for its first moment of truth: the weigh-in. Uhhhh… well that isn’t good. Now, what on earth could I have missed? 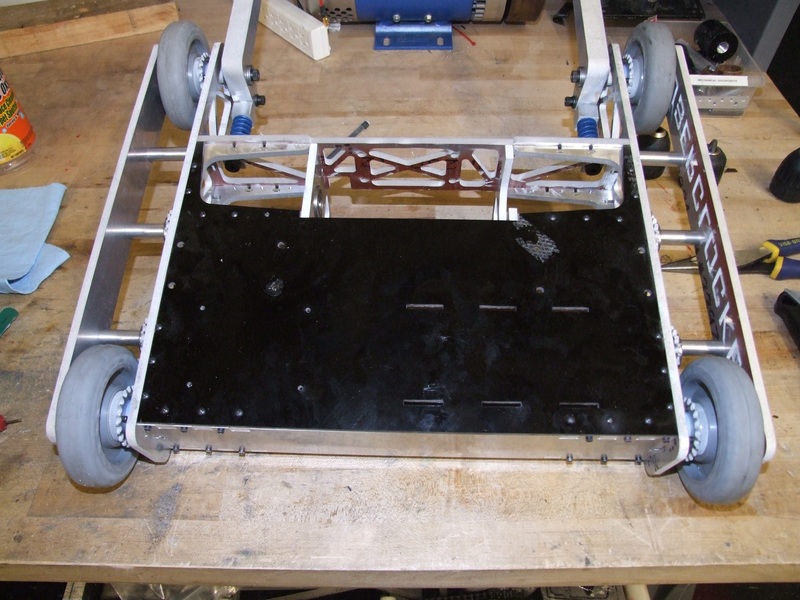 The CAD model included almost all screws and the full 8S2P a123 pack and still came in at 28.5 pounds! I’m going to just assume that things weigh more than what I could have guessed – for instance, the threaded rods binding the fork together weren’t modeled, which seems silly since they’re quite huge. Additionally, the top and bottom plates were modeled as phenolic material when they are actually fiberglass (garolite G-10). The difference in that alone turned out to be almost 0.2 pounds per plate! Well then. Clocker has to ditch 1.25 pounds somehow. I spent a while thinking about possible plans of escape. I had very little metal that I was comfortable with “speed holing” since it would compromise the somewhat complete armored perimeter of the bot. Replacing said top plates with polycarbonate would save about 0.35 pounds per plate, but I did not have the material on hand at the moment, and it wasn’t enough by itself. Dropping to 6S on the battery would only save a few ounces, and I’d have to tear the battery apart again. The final solution had to involve multiple changes. 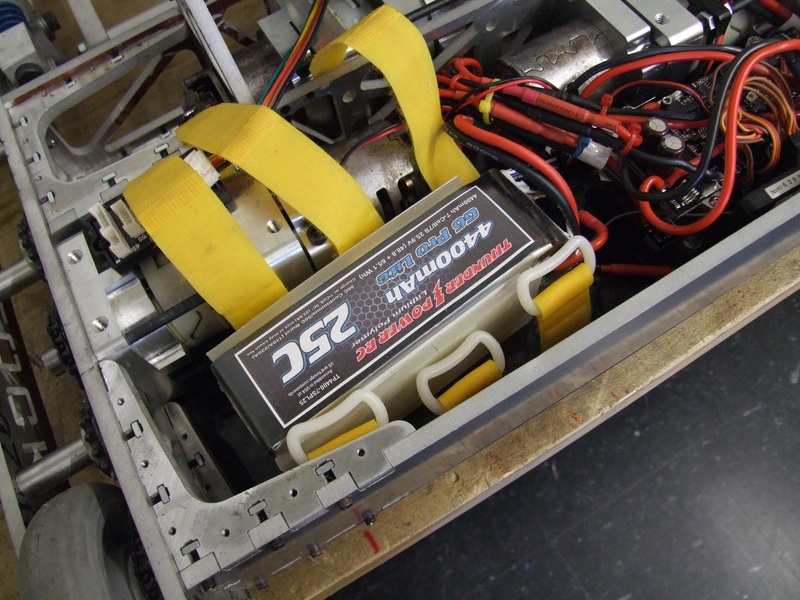 With the heaviest of hearts, I grabbed one of the left over 7S 4.4Ah Thunder Power lithium polymer packs from the amphibious DERPA project team and replaced the A123 pack. Sadly, no matter how much I love the little white round cells, the lithium pack just has greater gravimetric energy density. 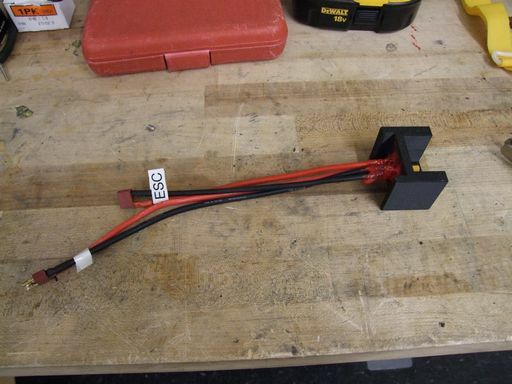 I gain back what is essentially an 8S a123 voltage (25.9v nominal), with essentially the same capacity. 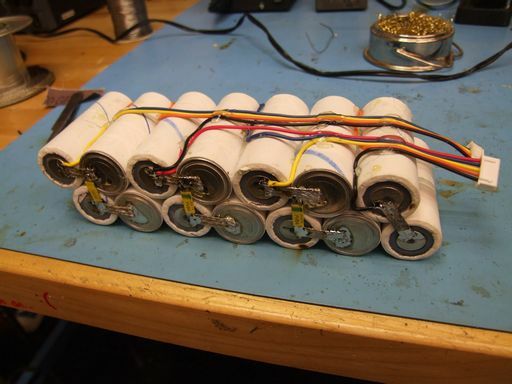 And, it saves 0.75 pounds; even with the two G-10 plates I added to the top and bottom to make the pack simulate a hardcase battery so it isn’t as squishy. 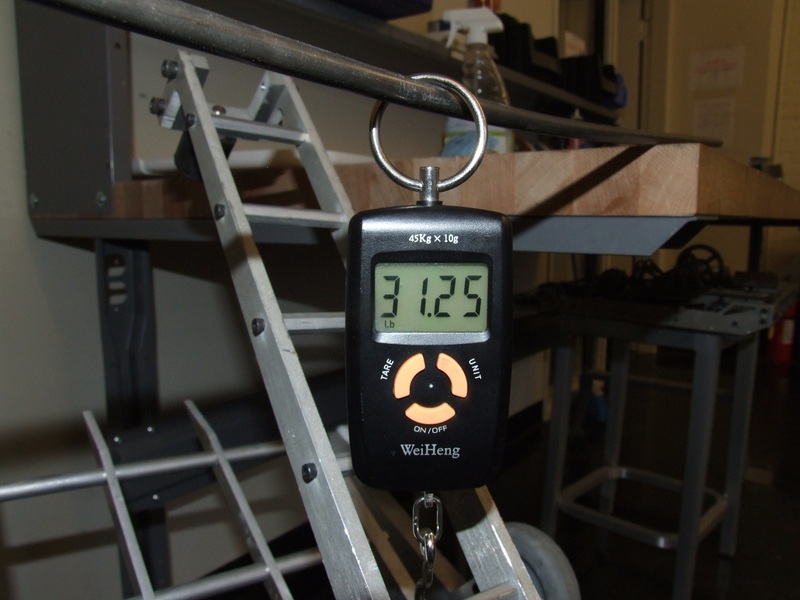 Now, with Clocker at 30.5 pounds, knocking the rest out of metal was a possible course of action. I always figured I was going to have to machine out these landing legs eventually. They’re solid 3/4″ aluminum. That’s almost obscene. Each slot basically netted me 0.14 pounds, so a cool quarter pound for the pair. There’s a quarter left, still. The rest of the quarter came out of the right side outer frame rail, which was solid 1/4″ aluminum. I hollowed it out to a wall thickness of 0.1″ on the outside, and this was able to knock out just under 1/4 pound. Since the Sportsman’s Class does not have to contend with heavy hitting cheap shot kinetic weapons, I was completely fine with this relatively thin (for a combat bot, anyway) side armor. That’s as close as I want to go. 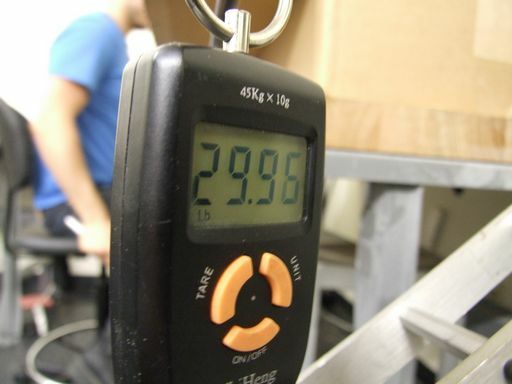 Generally, big event scales only read up to the 0.1 pound anyway, and some leeway is given at the organizers’ discretion to account for not everyone owning the same calibrated scales. So I should be able to add 5 or 6 more #4 button heads on the top plate without issue. So, the final tally of changes was a few machined-hollow metal features and a battery change. While the battery change lost me 0.75 pounds in the rear, the front leg channels and side plate pocket combine to keep the C.G. basically where it is. I spent way too much time driving this thing around and practicing with the fork. So far, the driveline has been perfectly reliable. The centroid CG placement and smooth braking of the RageBridges, coupled with the ultra-tight deadband, makes for one of the most smoothest-driving bots I’ve built. The “clock face” has been covered up with some thin polystrene sheeting that is normally used as thermoforming exercise stock. It’s just a dust cover, more or less. One thing I experimented with was adjusting the torque clutch on the DeWalt gearboxes. My “DeWut? !” mounts have a set screw that can push in the torque clutch’s preloading spring, just like what the torque setting ring does on the drill body itself, so in principle you can create a torque limited drive. I’m glad to say that this is in fact possible in real life. I tried lifting stuff with the fork, but the motor just made angry drill sounds because I didn’t adjust out the clutch at all. Luckily, this version of Clocker was built with serviceability in mind, and in under 1 minute I had the 4 screws undone, the motor slid out, the set screw tightened, then the motor remounted and the screws reinstalled. While I could have played the “How far do I turn the screw to lift a 30 pound opponent?” game, I elected to just let the current limit on RBs take care of maximum lift load, so I locked the clutch using the set screw. My exercise regimen was mostly blasting in straight lines up and down the hallway. This was in fact not very easy – Dewalt must have changed their 18v motors’ windings very slightly at some point, because I have 2 allegedly identical 18v type motors that are definitely different ages, and they are very slightly different. They are different in speed enough, though, that Clocker still pulls a wide circle. For now, I’ve been just practicing it away with the radio, but I probably want to check for matching motors next time I have the bot open. I also engaged in a few short “drive a perfect square” laps, and “do a perfectly straight J-turn” also. But Clocker has actual weaponry, so I’ve also been practicing attacks and methods using the fork and clamp. I’m fairly sure that now with the much faster clamp arm, I can catch and lift an opponent (or at least break its traction) in under 2 seconds. Here’s another short test video using Null Hypothesis as a fork chew toy. Notice how Clocker can hoist a 30 pound opponent pretty much hanging off the end of the forks. I attribute this to the much longer springy legs this time around, making the 2-bot complex much more stable as a result. I think in battle the lifts won’t be as smooth, and there will be much squirming on the opponent’s end, but it’s good to see that Clocker will no longer be as prone to faceplanting on a lift. The down side, in my mind, is that the legs are now a vulnerability because they stick out so far. Practice sparring with some of the other area 30lbers, Null Hypothesis, or the now mostly beheaded Clocker Remix. 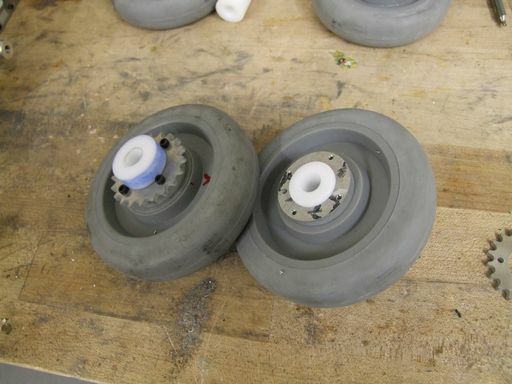 Make spare wheels. I have 6 spare wheels, and I’m probably going to need all of them. Take nice pictures and make an assembly guide for the DeWuts! I plan to bring several to Motorama, so they must be ready by then. They will be up for public sale on e0designs.com after the event itself. For the T-minus updates from here on out, I’m probably going to just update on practices and anything that breaks, plus maybe an opponents analysis when the event gets closer. Since the last Überclocker update, a ton of work has been done on the bot. This past weekend, I purposefully trapped myself in the shop for the duration of the Snowmageddon Snowpocalypse Snowlingrad Snolocaust Great Leap Snowward Snowtorious B.I.G. which shut down most of New England for Friday through Sunday, to get as much done on Clocker as possible. I’m proud to say that at this point, the bot is driving (but not yet lifting). This following report will basically summarize the work of the past week or so, including all of this past weekend – otherwise, there’s going to be like 90 pictures! 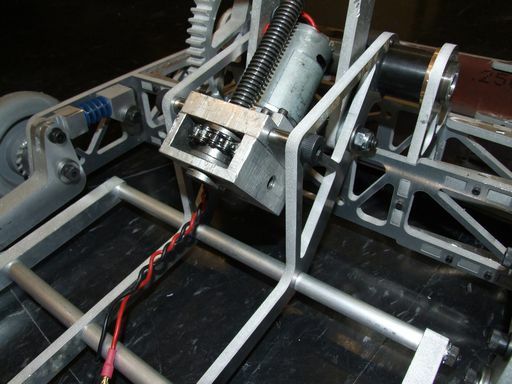 I began by tackling basically the only menial machining task on the bot: making the Springy Legs. 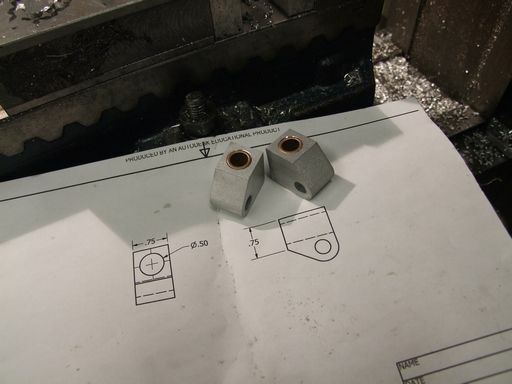 The “raw forms” were waterjet-cut from 3/4″ aluminum with the intention of finish machining. 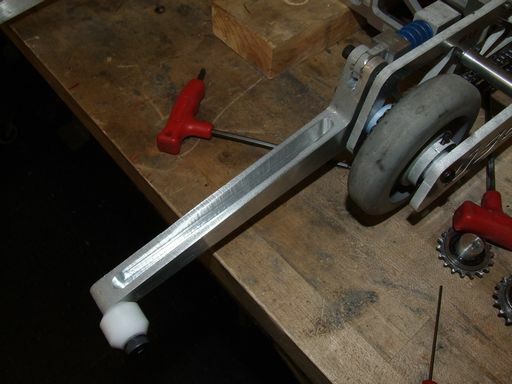 This is the stationary rear portion of my DIY shock absorbers. They just have a hole drilled through to hold a bronze bushing, which will interface with the “rod”, a shoulder screw. The other two parts were a little more interesting. The trunion end of the shock absorber is doubly supported in the leg itself, so it meant I had to cut a roughly 0.8″ deep slot in the leg. I broke out, fortunately not actually breaking, my long-cut 1/4″ carbide endmill from the days when I collected tooling and carved it in 3 passes. After most of the little menial machining objects were done, this is the state of the frame. I have a set of stiffer springs in case I find these too ‘soft’. If the bot lurches forward too much, it could hinder the lift by just keeling over at the very front of the legs. From there, I moved to making the wheel hubs. These are based heavily on my design used in Clocker’s summer Gritty Reboot, but with a bigger Delrin center and larger diameter spacers for the larger sprockets. I started with a 1″ Delrin round and quickly whipped them out on Tinylathe from there. Starting to reach Criticality (where a project can finally support its own weight)… I found a pile of nylon and steel washers to space the legs out properly. From there, plenty of blue Loctite was poured into the standoff-axles, forming the “permanent” side of the attachment. If I ever have to replace the legs, though, I’m kind of boned. I christened this thing “Clockerboard” since I was riding it like a skateboard for a little while. The frame is extremely rigid, and the precision-ground aluminum standoff axles pair well with the Delrin hubs. The action is so smooth it might as well be on real bearings. And the bottom plate goes on. I clearance-drilled the pilot holes in the bottom plate and made the attachment with #4 button headed screws. I normally despise buttonheads because of their super small 1/16″ hex key size, but they offer more bearing area (larger head) than the regular cap screws, which is better for the garolite’s structural integrity. Starting from a 1″ diameter chunk of ceramic-coated (hard anodized, anyway) aluminum shaft, I drilled out the entire center with a long .75″ drill bit to save weight, then started putting the fork asesmbly together. In lieu of using retaining rings on the ends of the shaft, as originally planned, I decided to just machine spacers to span the gaps between forks in order to take up the axial slack. 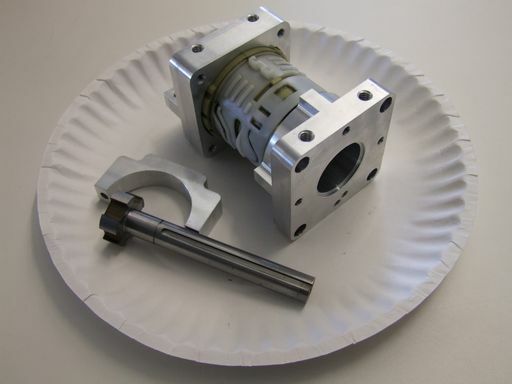 There was already going to be 3 different shaft collars constraining movement axially – a little snap ring wasn’t going to add that much more to the equation, and I could not be buggered to try and find the only grooving tool within 2 miles. After cutting out some lengths of threaded rod, the fork comes together. This assembly is extremely rigid because of the sheer amount of preload I’ve put into this system through the three alloy steel threaded rods. …unfortunately, I forgo that screws have heads. The real story here is that the shoulder screw holding the leg on sticks out further than in the design because I added the spacing washers to give the leg a wider bearing area. I didn’t account for the extra width of a locknut compared to a regular nut, either. So the result, unfortunately, is just the hardware running into itself. No problem – cutting the threaded rod exactly to length, and shortening the outer spacers 1/8″ each, gave enough slop room to clear the fork. The modified clamp actuator goes on with, you guessed it, some more shoulder screws. Mid last week’s pretend-o-bot, or thereabouts. This was just before the DeWuts showed up, so at this point I was stuck until I had motors. Luckily, Anonymous (…Chinese CNC shop) delivered. While waiting for the DeWuts, I decided to take care of the rest of the menial machining tasks. 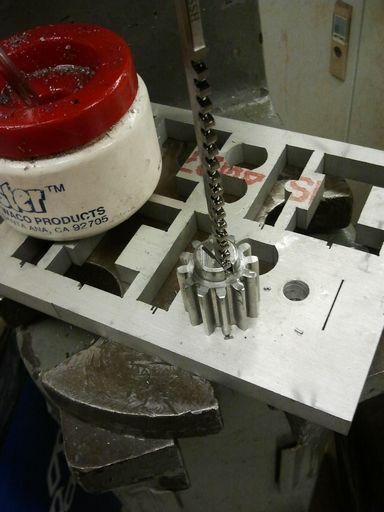 I purchased a 1/8″ keyway broach to make the key cuts, and went to the Edgerton Shop to use a long-throw arbor press to cram the thing through the gears and sprockets. I also went ahead and mounted up the lifter motor. 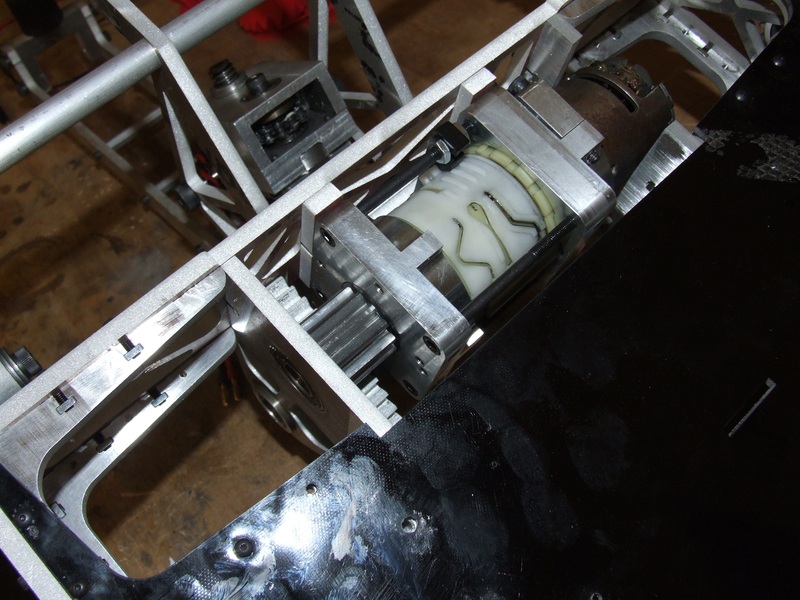 It’s attached to the frame through a big U-bracket which functions as a spacer, the bot cavity being 1/2″ wider than the motor. One issue was that the final distance between mounting holes was basically 3.00 instead of 3.05″, the original anticipated design length. I’ll have to take measurements of multiple units in order to confirm the +/- deviation from 3.00″ I should report, but the 3 on Clocker are all pretty close. Either way, much clearance-drilling was required. I basically had to open these holes up to 5/16″ to make that fit. Drive motors mounted. By this point, I think the snow depth was already 18″ and going. The pickup truck plows had given up, and heavy equipment was starting to roll through the streets. The last task of the night was routing the chains. The chains on this version of Clocker are routed a little interestingly. 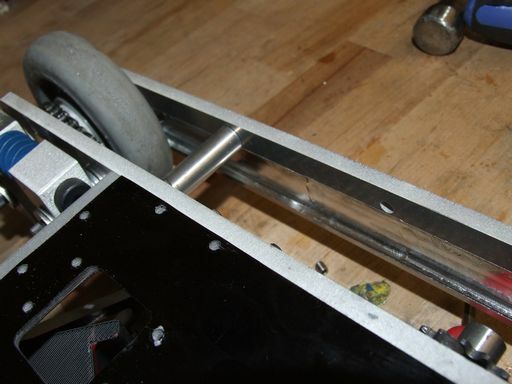 On this (right) side of the bot, the chain wraps around the bottom of the sprocket. On the other side, though, the chain wraps over the top of the sprocket (and hence under the tensioner sprockets). I did the chains up this way on purpose because the DeWalt motors are very heavily timed to favor one direction: the drilling/screwing-in direction, or counterclockwise. You rarely use a drill in reverse, so manufacturers squeeze a bit more forward power out of the motor by optimizing the brush timing for one direction. In a traditional two-sided drive robot, the motors have to spin opposite directions to effect forward or backward motion since they are mounted mirrored from each other. 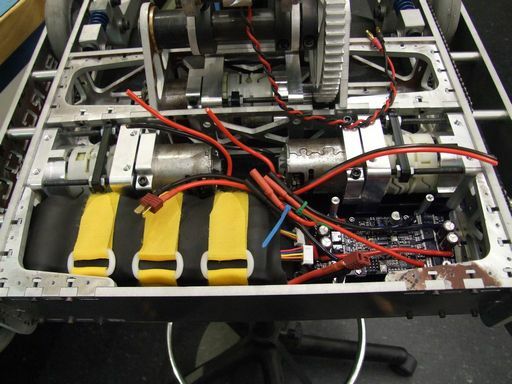 In the DeWalt’s case, it seems to cause up to a 10% speed difference between sides – that means the robot will just pulll a huge wide turn the entire time you command ‘straight’. Clocker Remix, in fact, does this – it has never ‘driven straight’ in testing. In practice, combat driving never really sees enough straight line travel for this to matter much, so most people just straight up ignore it. If I had the opportunity to make the bot more symmetric, though, I was going to take it. So, to power the bot forward, both motors in fact rotate counterclockwise as viewed from their own shafts. This is the favorable timing direction and the difference in speed is both audible (faster spinning, higher pitched) and visible (the bot is definitely slower going backwards). As for the chains themselves, I incrementally dialed in the tensioners by running the chain for a few minutes, then moving the tensioners to tighter positions. Chains stretch a few % just by virtue of wearing in the first time, so this was critical. That concludes the first round of work. In the past day, I’ve managed to wire up half of the bot, but that will be reported on shortly. Tomorrow I anticipate being able to start doing shakedown tests and figuring out what to tune before the event. DeWuts are the Most Beautiful Things to have Ever Existed. Ever. Feb 10, 2013 in dewut? 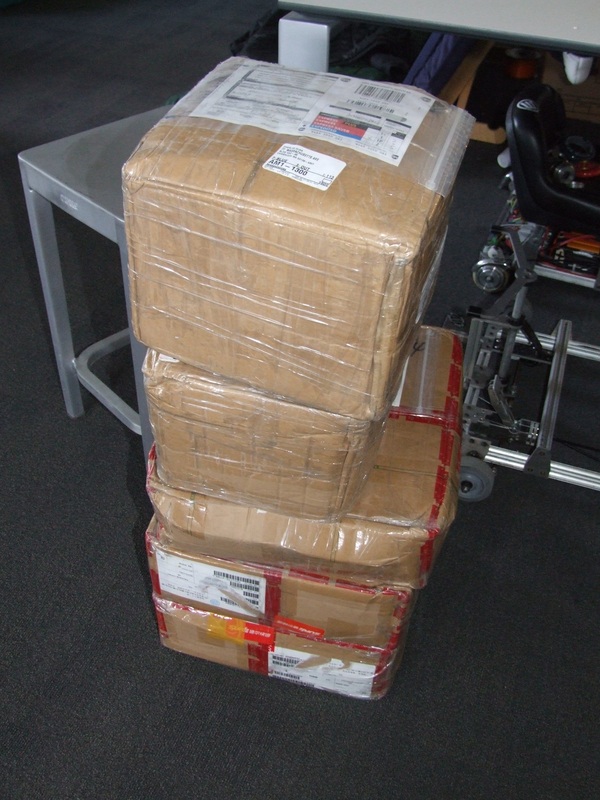 A few days ago, I received a package. Okay, more like five packages. The shop made a concerted effort to ship my parts out before the Chinese (lunar) New Year vacation, and they at least managed to get out of the country in time! This picture doesn’t do the quality of finish justice. They’re really, really, really shiny. 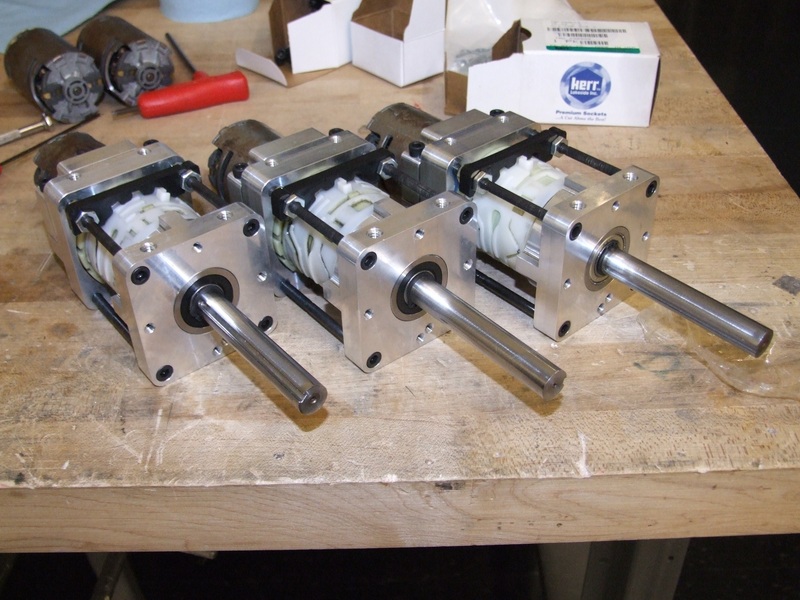 There’s 4 total parts to a DeWut assembly: the output bearing block, the motor mount (in the back), the motor clamp, and the shaft. Investigating the intersections of cutting paths and machined surfaces was quite enjoyable as I deduced in which order the features must have been machined. For instance, on the fancy flower end of the shaft, the valleys of the lobes have clearly been bead-blasted and are dull, while the rest of the shaft has a machined finish. 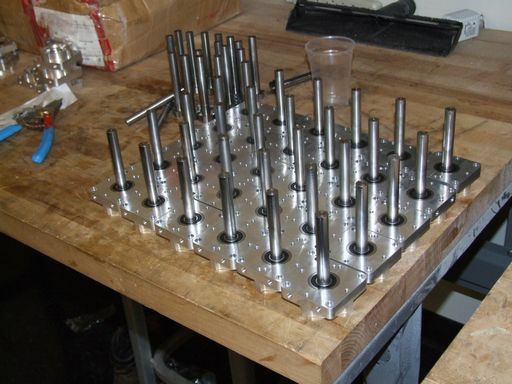 Short of somehow forging and finish machining these (highly unlikely), I bet they milled the profile into an entire bar of ~1″ steel first, then machined that down to form the 1/2″ diameter shaft body. 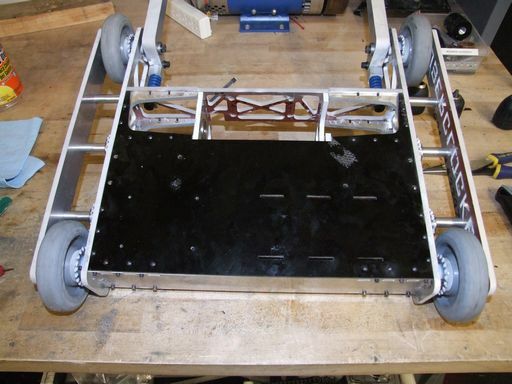 With the Dewalt 3 speed gearbox, motor, and output bearings installed, it looks like a thing that exists!! Like, a real product. Missing here still is the Nifty Barrel Shifter lock. I laser-cut them out of some 1/4″ Delrin, though I strongly believe 1/8″ is sufficient as they do not take any sturctural loads. Okay, so that was sort of fail. First, the raw plate came very warped from McMaster. Second, the action of cutting alone made it even more warped. As a result, I only got a handful of NBS locks from this plate since warping ruins the focus of the laser beam. For now, this is more than enough, but for production purposes, I will probably just hire these out to Big Blue Saw for convenience. Check out this veritable forest of DeWut output assemblies. 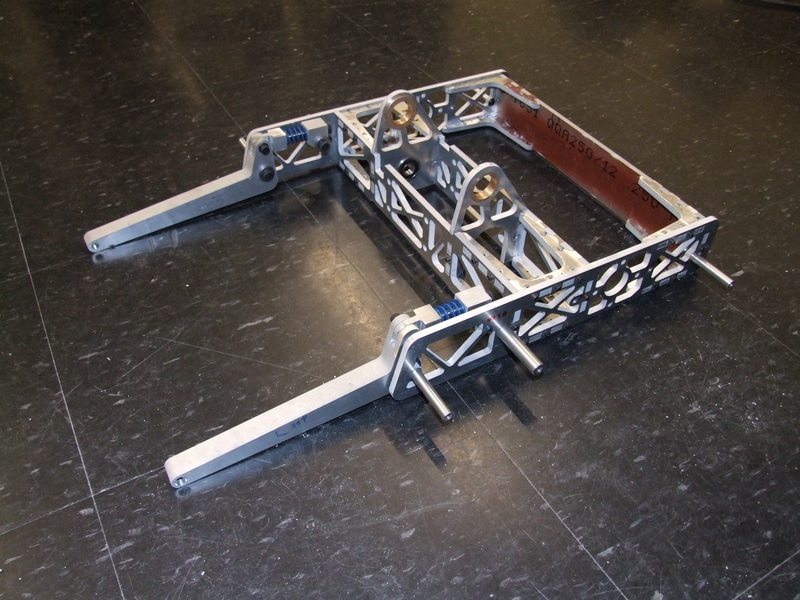 Originally, the plan was to sell complete knockdown kits that have to be assembled by the user. Problem is, after pushing a few of the shafts through the bearings, I realized you really needed an arbor press of 2 or more tons capacity to do it correctly. I sized these shafts for a proper bearing fit – that is, you’re not sliding it in by hand, it’s actually a tight fit. 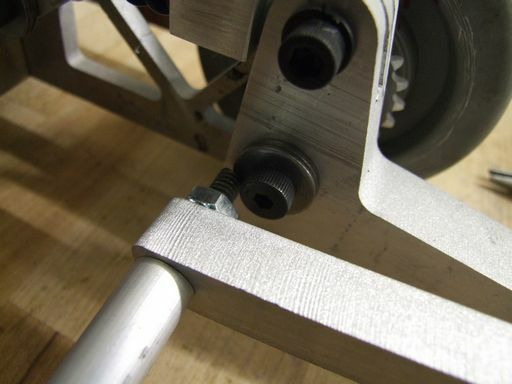 I attempted using a deadblow hammer or just banging it on the table – two methods I’ve historically used to fit shafts into bearings prior to having a few different sizes of arbor press within one wireless router’ coverage – to no avail. So asking any random builder to do so might be a little too much. The bearings into their housings, too, are troublesome for someone not press-equipped. Therefore, I’m thinking the new plan is to sell a partial knockdown kit with the front end assembled, the motor mount and clamp (& other residual hardware) separate. Maybe offer an option that includes the transmission already, so you just need to pop in a motor of your choice (DeWalt makes this style motor in 12, 14.4, and 18 volts). Enough about product, though. Here’s more pretty motor pictures. After months of design, iteration, and testing (most of which has ended up on this very website), I’m proud to introduce RageBridge for general sale to the robot-inclined public. 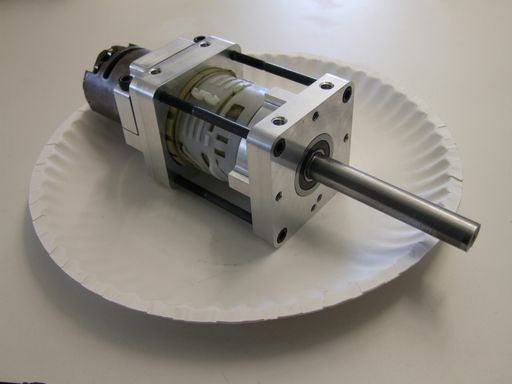 Now, this isn’t a launch announcement per se – I’m waiting for the DeWut CNC mounts to arrive, then a more official announcement will be done once those are ready. But, given that some events like Motorama are coming up, I figured this pre-grand-opening-grand-opening will be helpful. 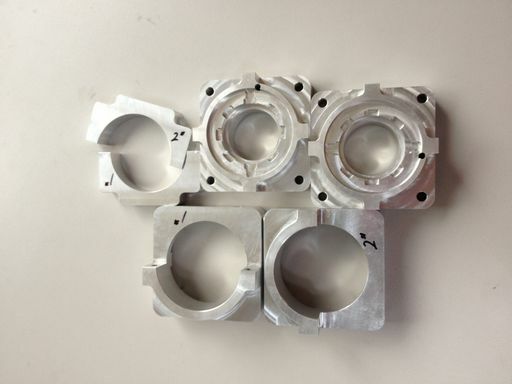 Here’s roughly what the DeWuts will look like in component form; this preview was sent to me by the CNC ship a few weeks ago when the order was not yet complete. Theme created by miloIIIIVII | WordPress | Entries (RSS) | Comments (RSS) | 30 queries. 0.273 seconds.